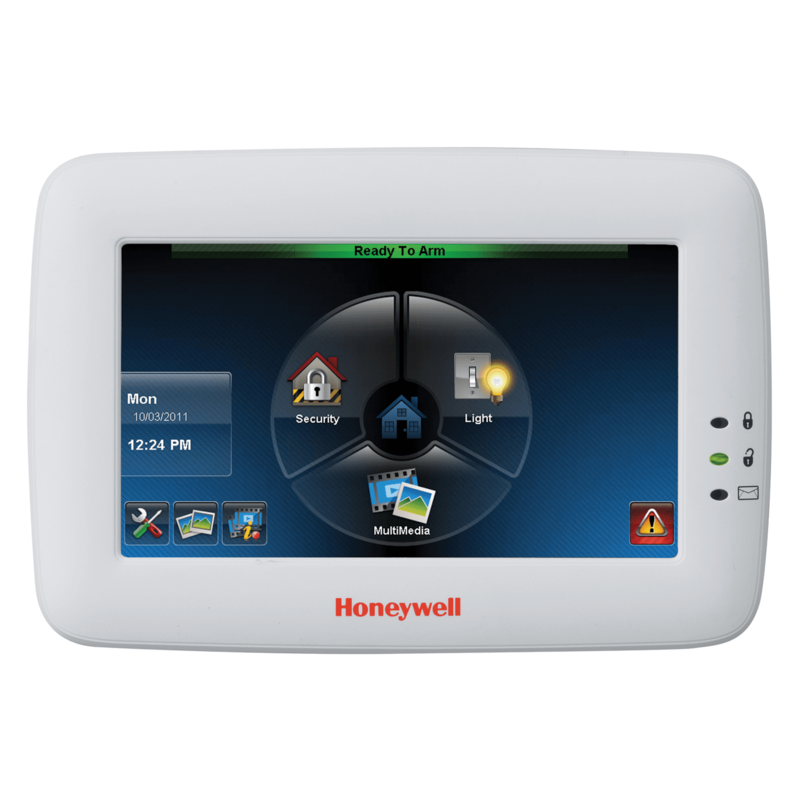 The Honeywell 6280W is a White Color-Graphic Voice Touchscreen Keypad features a high-resolution TFT display that doubles as a digital picture frame. Honeywell's vibrant Graphic Touchscreen lets you control your facility's security system with ease with vivid, intuitive icons guiding you and your employees every step of the way. You'll find that the brilliant, 7" display can also serve as a dynamic communications tool for your business. Whether arming or disarming the system, bypassing zones or accessing the event log, icons are immediately recognizable by function to make operation crystal clear. You can opt to control your system and receive important alerts about events in and around your business with Honeywell Total Connect™ Remote Services. Whether you use your PC, iPhone®, iPad® or other compatible mobile device, the function icons look and operate just like the ones on your graphic touchscreen! Be notified about events in and around your home via e-mail, text messages or video alerts (e.g., a flood or delivery arrival). Know when your children have arrived home from school, or if they haven't arrived home by a certain time. Keep an eye on elderly relatives, pets and housekeepers. Know if flood or extreme temperatures have been detected. Know if valuable objects have been moved.